I like the refined look and its really beautiful. But 4 Cylinders and 255 HP on a base model. My ML350 has more power than that and I would like have more power. Would like the straight 6 but Im sure its at a premium price. Wish I had bought a ML550 . I agree the 4-cylinder one will be underpowered. The 6-cylinder ML450 should not be much more than the current GLE350/400, starting under $60k. That is just my educated guess. I found an interesting video about the adaptive headlights for the 3 German cars. Does anyone know how MB handles them in the US? BMW & Audi are shipping some vehicles with them that can be activated by software when they become legal. Edit-BMW can’t be activated with Software in the US market, Audi can, MB? Last edited by Ron.s; 10-16-2018 at 09:34 AM. Even my '12 ML has a bi-xenon version of this technology, obviously not as advanced as what I see in the new Mercedes & Audi systems. It's frustrating to have it dumbed down for the US. As you know there is now some movement by NHTSA to update their standards: High-tech headlights that dim themselves could be coming to U.S. You can submit comments regarding the NHTSA's proposed changes here: https://www.regulations.gov/searchResults?rpp=25&po=0&s=NHTSA-2018-0090&fp=true&ns=true. Be sure to support your comments with factual information, e.g. "30% of vehicle accidents occur at night." I would certainly think the capability to update the systems when the standards are enacted should be there, perhaps even "over-the-air." Last edited by GregW / Oregon; 10-15-2018 at 10:38 AM. Even my '12 ML has a bi-xenon version of this technology, obviously not as advanced as what I see in the new Mercedes & Audi systems. It's frustrating to have it dumbed down for the US. As you know there is now some movement by NHTSA to update their standards: High-tech headlights that dim themselves could be coming to U.S. You can submit comments regarding the NHTSA's proposed changes here: https://www.regulations.gov/searchRe...p=true&ns=true. Be sure to support your comments with factual information, e.g. "30% of vehicle accidents occur at night." They are all impressive systems....It looks like Audi’s may be the most sophisticated, controlling each LED. But just another complex piece of technology that could go wrong, will cost a lot to fix-not a part that will likely be in stock. LED’s have a long life but a controller failure might mean no night driving. I love Tech but it’s got to be complicated at dealerships getting good people & training them! Audi will be available for over the air updates & don’t know about the others. Greg do you have a guess on how long it might be before the first AMG 53 would lag the intro. Word is suggesting during 2019. Ron, I do not have any hard information. The model seems to be at the same stage of development as the 450, so I'm guessing we will see them pretty quickly after initial release. The AMG 63 likely a ways out. I’ve been a little behind on this thread, but does anyone know if the new MBUX system is definitely wireless for Carplay and android auto? Things I’ve read say it is rumored. I've been looking for an official announcement from MB or a video demonstrating wireless CarPlay in the new A class, but so far haven't found any. I'm guessing it's supported if you opt for wireless charging pad. I hope it supports Android Auto wireless since my Google Pixel supports is one of the phones with that feature. Last edited by Ron.s; 10-16-2018 at 12:16 PM. That is the article I linked above, but the second link I posted is more recent and hands on. The second article Greg posted implies a wired connection was needed to use CarPlay but he does say "Granted, what I tested was in pre-production, so I expected bugs and a lack of polish." Based on the media outlets that reported wireless CarPlay will be supported by MBUX, I think it will be available when the new GLE hits the roads in the US. I see no logical reason MB wouldn't support it. You do realize you're speaking about Mercedes Benz right? 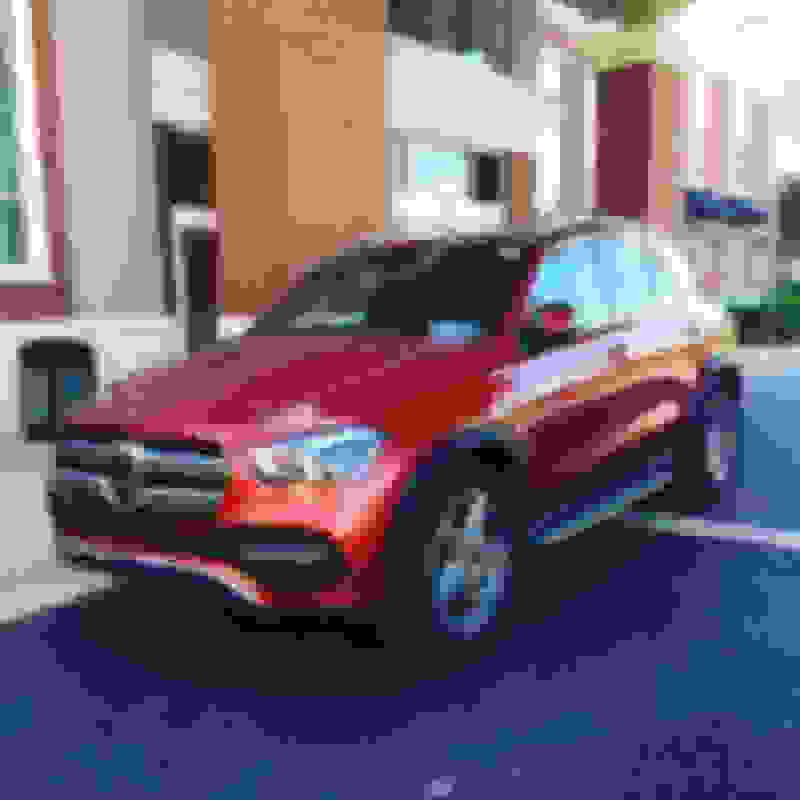 The Mercedes Benz who for the 2019 model year GLC you can get either Apple Car Play OR Comand, but not both. I just watched a review of the BMW X7. The reviewer says it supports wireless CarPlay but not wireless Android Auto. As for the overall review, it looks like a very well designed SUV. Should prove to be very popular. BMW doesn’t support Android Auto wired either. It might be concern over Waymo as a competitor. Ironically Germany is about 80% Android as I recall. ... it looks like a very well designed SUV. have dimensions of the gle been made public yet? legroom, etc. "A size larger: the new GLE has a considerably longer wheelbase than its predecessor (117.9 inches, +3.1 inches). This creates significantly more space, especially for passengers in the rear. Legroom in the second seat row has increased by 2.7 inches to 41.1 inches. Headroom in the rear with the standard, fixed rear seat unit and 40:20:40 backrest division has increased by 1.3 inches to 40.4 inches. And because the A-pillar is more upright than before, spaciousness and entry comfort in the first row has been further improved." I haven't seen any cargo capacities yet. greg thanks man. You know that is 3.5” more second row legroom than the x7 bmw!? any specs on third row dimensions? That's right, I forgot BMW calls it a Sport Activity Vehicle. The term Sport Activity Vehicle refers to the sheer capabilities of the X5. The idea is to make customers aware that this particular vehicle isn't just a great off-roader, but has work capabilities and other sporting uses as well. Specifically, it points to the fact that this particular vehicle has a towing capacity of up to 6,000 lbs when properly equipped, it can come with an optional bicycle rack, tote a kayak or canoe (or full camping kit) on its roof, and stow tons of gear in its huge rear cargo space. Last edited by JoeMa; 10-17-2018 at 01:48 PM. Legroom is measured differently between manufacturers, so you can't do a direct comparison. Towing capacity on the X5 xDrive40i (and 50i) is 6,603 lbs.